As Christians, like people of many beliefs around the world, we are called by our faith to stand with the oppressed, to speak the truth, to work for justice, and to seek peace. To inform those actions, we often refer to voices, programs, and opinions not always seen in the mainstream media, but which offer insightful, educational, and hopeful perspectives. Some are listed below, in alphabetical order. DISCLAIMER: We have found these webpages interesting and informative, but they do not necessarily reflect our views, those of our supporting congregations, or our partners in Palestine. Nor are they by any means exhaustive. Adalah is "an independent human rights organization, registered in Israel. It is a non-profit, non-governmental, and non-partisan legal center. Established in November 1996, it serves Arab citizens of Israel, numbering over one million people or close to 20% of the population. Adalah ("Justice" in Arabic) works to protect human rights in general, and the rights of the Arab minority in particular." The Alternative Information Center (AIC) is "a Palestinian-Israeli organization which disseminates information, research and political analysis on Palestinian and Israeli societies as well as the Israeli-Palestinian conflict, while promoting cooperation between Palestinians and Israelis based on the values of social justice, solidarity and community involvement. Monthly, AIC publishes News from Within, a monthly magazine reflecting the center's combination of political activism with research and analysis. The Alternative Palestinian Agenda is a creative and hopeful proposal for a political solution coming from Nasser Abu Farha, native of the West Bank town of Jalame. American Friends Service Committee (AFCS) is a Quaker organization that includes people of various faiths who are committed to social justice, peace, and humanitarian service. Currently, their programs in Palestine focus on long-term youth development and advocacy through the Quaker Palestine Youth Program (QPYP) and to provide emergency relief and material assistance through the Relief and Reconstruction Program. Within Israel, AFSC's New Israel Program works in mixed Jewish-Arab areas in northern Israel, providing financial support for new and innovative NGOs that are working to create a more equitable society between Israel's Jewish majority and its Arab citizens. They have a useful education and resource page about the Palestinian-Israeli conflict. Americans for Middle East Understanding was founded 34 years ago by Americans whose professions in medicine, church ministry, archaeology, and diplomacy had taken them to the Middle East. "AMEU strives to create in the United States a deeper appreciation of the culture, history and current events in that area." AMEU publishes The Link on a bi-monthly basis and sponsors educational programs. Amnesty International's regular human rights reports from Israel and the Occupied Territories are online. Applied Research Institute Jerusalem is "a non-profit organization dedicated to promoting sustainable development in the occupied Palestinian territories and the self-reliance of the Palestinian people through greater control over their natural resources." Among other things, they have units addressing water, environment, and GIS analyses of land use. Especially now, they have reports on the effects of closures, settlements, and cantonization of land. The Arab American University of Jenin was inaugurated in September of 2000 as the first private university in Palestine. The university is supervised by a selected Board of Trustees, who subscribe to the Ministry of Higher Education in Palestine, implementing an American education system, in affiliation with California State University, Stanislaus, and Utah State University. It is located in the Jenin district, on the outskirts of the village of Zababdeh. To explore exchange and education possibilities, contact the e-ambassadors' Iyad Abu-Rub. The Arab Association for Human Rights was founded in 1988 to promote and protect the political, civil, economic, and cultural human rights of the Palestinian Arab minority in Israel. Especially interesting are their pieces describing institutional discrimination in Israeli Law, how Arab Israelis continue to be disenfranchised through Israeli Land and Planning Policy, and the situation facing the Bedouin in the Negev. The Association of Forty, "an association for the recognition of the Arab Unrecognized Villages in Israel, was formally established in 1988 in the Unrecognized Village Ein-Hod. Even though these Arab Villages existed tens and hundreds of years ago, the Israeli government does not recognize them, meaning the villages lack basic infrastructure: Today, there are approximately 100,000 people who are denied human rights and basic services such as running water, electricity, proper education, health services, and access roads." The Association of Forty is committed to the promotion of social justice in the Arab sector in Israel, and to gaining recognition for unrecognized villages. The Association for One Democratic State in Palestine/Israel is composed of Palestinians and Israelis who advocate a one-state solution to the conflict. Al-Awda, the Palestine Right to Return Coalition, is a network of grassroots activists dedicated to Palestinian human rights and the right of return for Palestinian refugees. They have an extensive links page. Badil Resource Center for Palestinian Residency and Refugee Rights was founded in 1998, aiming to provide a resource pool of alternative, critical and progressive information and analysis on the question of Palestinian refugees in the quest to achieve a just and lasting solution for exiled Palestinians based on the right of return. They have a page about the basis in international law for right of return. Bethlehem University, founded in 1973 with cooperation of the De La Salle Brothers (a Christian order), is "a vibrant academic community with a unique role, promoting inter-religious and cultural understanding, international cooperation, and justice and peace." Black Voices for Peace is "a national action network of Black people of African Heritage working for justice and peace in the United States and abroad," They have weekly meetings in Washington, D.C., and are especially involved in education and advocacy about Palestine and a just peace in the region. Brit Tzedek v'Shalom, the Jewish Alliance for Justice and Peace, is a national organization of American Jews deeply committed to Israel's well-being through the achievement of a negotiated settlement to the long-standing Israeli-Palestinian conflict, especially now through the Geneva Accords. They are currently engaged in "A Call to Bring the Settlers Home to Israel," a campaign (with online petition) to encourage the relocation of settlers back to Israel and out of settlements in the Palestinian Territories. B'Tselem is the Israeli Center for Human Rights in the Occupied Territories. It was established in 1989 by a group of prominent academics, attorneys, journalists, and Knesset members. It endeavors to "document and educate the Israeli public and policy makers about human rights violations in the Occupied Territories, combat the phenomenon of denial prevalent among the Israeli public, and help create a human rights culture in Israel." Online they maintain up-to-date reports on a broad range of issues, including the wall, settlements, and detailed statistics about casualties in the current conflict. Al-Bushra is a Christian site that means "good news" in Arabic. It is created by Rev. Labib Kobti who now serves the Arab American Roman Catholic community in California. The site includes information about the situation of the Palestinians, Lebanese, Iraqis, Syrians, Egyptians, Jordanians, etc. in the Middle East. Catholic Relief Services is a Christian NGO which reaches out to people around the world to alleviate poverty and suffering and to honor the dignity of the human person, and to work for a world in which all flourish in accordance with that dignity. Because of the current crisis, Catholic Relief Services has initiated humanitarian and emergency activities in addition to its ongoing development projects in the Middle East. Center for Middle East Studies at North Park University is located on the north side of Chicago. "Offering an academic program with diverse approaches to experiential learning and an ecumenical Christian perspective, North Park is the only evangelically oriented Christian college to offer such a program." CMES has a scholarship program offering Palestinian Christians the opportunity to attend university at North Park. But CMES's impact reaches far beyond the student body, as they host programs and speakers at programs for the broader community throughout the year. Christian Peacemaker Teams (CPT) are located throughout the world providing organizational support to persons committed to faith-based nonviolent alternatives in situations where lethal conflict is an immediate reality or is supported by public policy. A team has been present in the volatile city of Hebron since 1995 (read their regular updates and reports). CPT's Campaign for Secure Dwellings partners congregations with specific neighborhoods or villages in or around Hebron facing home demolition, land confiscation, or other threats to the security of families. Participating congregations receive reports of life in this area, notes from visits of CPT team members to families, and occasional Urgent Action appeals. Churches for Middle East Peace is an ecumenical working group of Christian organizations. "CMEP began its work in 1984 out of the conviction that the policy perspectives and long Middle East experience of our member bodies can play a useful role in the public arena. We therefore seek to maintain an on-going dialogue with Congress, the Administration and the diplomatic community on behalf of these concerns." Coalition of Women for Peace is a coalition of several Israeli and Arab women's organizations working together to support justice and peace. Their members include Bat Shalom, Women in Black in Israel, The Fifth Mother Movement, Women Engendering Peace, New Profile, Women’s International League for Peace and Freedom, TANDI - Movement of Democratic Women in Israel, Noga Magazine, NELED - Women for Coexistence, and Machsom (Checkpoint) Watch. CounterPunch - CounterPunch is a six-year old "bi-weekly muckraking newsletter edited by Alexander Cockburn and Jeffrey St. Clair. Twice a month we bring our readers the stories that the corporate press never prints." Palestinian and Israeli news and opinion are often covered. Courage to Refuse was founded following the publication of The Combatants Letter in 2002, by a group of combat officers and soldiers after returning from duty in the Gaza Strip. In the letter, the soldiers pledge their ongoing commitment to the security of Israel, but declare that they will take no part in missions intended to prolong the occupation because "The Occupation poses a threat to the security of Israel." Since then, nearly 600 combatants from all units of the IDF (refuseniks or refusers) and from all sectors of the Israeli society have signed the letter and have joined Courage to Refuse. The Ecumenical Accompaniment Programme in Palestine and Israel is "an initiative of the World Council of Churches within the Ecumenical Campaign to End the Illegal Occupation of Palestine: Support a Just Peace in the Middle East. Its mission is to accompany Palestinians and Israelis in their non-violent actions and concerted advocacy efforts to end the occupation. Participants of the programme are monitoring and reporting violations of human rights and international humanitarian law, supporting acts of non-violent resistance alongside local Christian and Muslim Palestinians and Israeli peace activists, offering protection through non-violent presence, engaging in public policy advocacy and, in general, standing in solidarity with the churches and all those struggling against the occupation." A team of three EAPPI folks spent three months in Zababdeh in 2002. The Electronic Intifada - This daily news and commentary site was founded in February 2001 to challenge distortion and spin the media portrayal of Palestinians and the Israeli-Palestinian conflict. Articulate, immediate, and extensive. Evangelical Lutheran Church in America has many resources on the subject of peace and conflict in the Middle East. The Lutheran Office for Governmental Affairs (LOGA) is active in peace and justice advocacy worldwide including the Middle East and Israel/Palestine, and founded an international, ongoing prayer vigil with resources available online. An outgrowth of these efforts, Peaceful Ends through Peaceful Means (PEPM) seeks to "support Palestinians and Israelis who are working for peace. We will mobilize congregations and church leaders to become peacemakers, preparing them for nonviolent actions and advocacy to end the occupation. Our goal is to help build a just and secure peace for Israel and Palestine." Evangelicals for Middle East Understanding is an affiliation of North American Christian churches, agencies, and individuals which seeks to provide encouragement to, advocacy for, and fellowship with Christians in the Middle East by sponsoring conferences, facilitating partnerships, and creating friendships in order to bridge the geographic and cultural divide. Fellowship of Reconciliation (FOR) was founded in 1915 in the USA as an "interfaith organization committed to active nonviolence as a transforming way of life and as a means of radical change. We educate, train, build coalitions, and engage in nonviolent and compassionate actions locally, nationally, and globally." Periodically, their Interfaith Peace-Builders sends delegations to Israel and Palestine "so that U.S. citizens can see the conflict with their own eyes. Participants have the opportunity to learn directly from Israeli and Palestinian nonviolent peace/human-rights activists, to spend time in Palestinian and Israeli homes, and to experience the situation of Palestinians living under military occupation." Foundation for Middle East Peace (FMEP) is a non-profit organization dedicated to informing Americans about the Israeli-Palestinian conflict and assisting in a peaceful solution that brings security for both peoples. The Report on Israeli Settlements in the Occupied Territories, published bi-monthly, provides up-to-date information on Israel's settlement policies as well as the ongoing negotiations with the Palestinians over the future of the West Bank, Gaza Strip, and Jerusalem. The Geneva Accord received a lot of attention and lively debate as it articulates parameters for reconciliation between the Palestinians and Israelis, and paves the way to reconciliation between the Arab World and Israel. Grassroots International "promotes global justice through parnerships with social change organizations. We work to advance political, economic and social rights and support development alternatives through grantmaking, education and advocacy." In the West Bank and Gaza, Grassroots International "supports members of Palestinian civil society as they provide essential services and strengthen grassroots communities in the process of nation-building. Community and non-governmental organizations in Palestine face a Herculean task -- to build a civil and democratic society within a population that is on the one hand besieged by an occupier and on the other governed by a regime that is authoritarian and often corrupt." They have a speaker bureau, offer workshops, and have a free curriculum "The Other Sides of the Story" available online. Gush Shalom is an outspoken Israeli peace group, seeking to establish peace and reconciliation with the Palestinian people. It was founded in 1993 by journalist, activist, and former Knesset Member Uri Avneri. Especially informative are their information about the Wall and their animated map presentation "Barak's Generous Offers." The Israeli newspaper Ha'aretz News is an independent daily with "a broadly liberal outlook both on domestic issues and on international affairs." In English, it offers among the best detailed reporting on the situation in the Middle East available. Health, Development, Information and Policy Institute specializes in policy research and planning concerning development issues and health care in Palestine. They conduct geographic analyses of the Palestinian Territories and produce high quality maps. Holy Land Christian Ecumenical Foundation was founded in 1999 by an ecumenical group of American Christians to inform American Christians of the plight of Palestinian Christians. They run a child sponsorship program for Christian students in several denominational schools. Holy Land Trust (HLT) is a Palestinian not-for-profit organization established in 1998 in Bethlehem with the aim of strengthening, encouraging and improving the Palestinian community through working with children, families, youth, and the NGO community. This is achieved on three levels: the creation of community awareness programs, working on local and international advocacy initiatives, and building local and international networks and partnership programs. HLT programs are implemented through three departments: Peace and Reconciliation; Remember the Innocents; Travel and Encounter. Human Rights Watch web-publishes their Middle East reports online. Institute for Palestine Studies publishes the Journal of Palestine Studies, the Jerusalem Quarterly, and a wide variety of books and other materials in English, French, and Arabic. International Solidarity Movement is a growing movement of Palestinian and international activists working to raise awareness of the Palestinian struggle for freedom and an end to Israeli occupation. They collaborate with many Israeli peace activist groups and utilize "non-violent, direct-action methods of resistance to confront and challenge the illegal Israeli occupation forces and policies." The Israeli Committee Against Home Demolitions is "a non-violent, direct-action group originally established to oppose and resist Israeli demolition of Palestinian houses in the Occupied Territories. As our activists gained direct knowledge of the brutalities of the Occupation, we expanded our resistance activities to other areas - land expropriation, settlement expansion, by-pass road construction, policies of 'closure' and 'separation,' the wholesale uprooting of fruit and olive trees and more. The fierce repression of Palestinian efforts to 'shake off' the Occupation following the latest Intifada has only added urgency to our efforts. As a direct-action group, ICAHD is comprised of members of many Israeli peace and human rights organizations. All of our work in the Occupied Territories is closely co-ordinated with local Palestinian organizations." Jerusalem Media & Communication Center (JMCC) "was established in 1988 by a group of Palestinian journalists and researchers to provide information on events in the West Bank (including East Jerusalem) and the Gaza Strip. JMCC's Jerusalem and Gaza offices provide a wide range of services to journalists, researchers, international agencies, individuals and organizations interested in obtaining reliable information on the Palestinian territory." They offer online access to public opinion polls and research. Jewish Peace Fellowship is a Jewish voice in the peace community and a peace voice in the Jewish community. They are "a nondenominational Jewish organization committed to active nonviolence as a means of resolving conflict, drawing on Jewish traditional sources within the Torah, the Talmud and contemporary peacemaking sages like Martin Buber, Judah Magnes and Abraham Joshua Heschel. JPF was founded by in 1941 to support Jewish conscientious objectors to the military, to help educate local draft boards of the theological basis of the Jewish position on conscientious objection." The Jewish Peace Lobby was founded in 1989. It is an American Jewish organization which seeks to promote a just and lasting resolution to the Israeli-Palestinian conflict. The organization is now made up of more than 5,000 members and 400 rabbis. A Jewish Voice for Peace provides Jewish Peace News, an edited news-clipping and commentary page. Latin Patriarchate of Jerusalem was one of the local partners in our ministry in Zababdeh and is responsible for the indigenous Roman Catholic Church (one of the largest local Christian denominations) in Israel, Palestine, and Jordan. Mennonite Central Committee is a Christian-based relief, service, community development and peace agency of the North American Mennonite and Brethren in Christ churches. They have been active in Palestine for decades, and in the past sent many volunteers to Zababdeh. MCC regularly posts prayer requests along with background information to help us pray for the situation. The Middle East Children's Alliance (MECA) is a non-governmental organization, working for peace and justice in the Middle East; focusing on Palestine, Israel, Lebanon and Iraq. "Our programs emphasize the need to educate North Americans about the Middle East and U.S. foreign policy, and to support projects that aid and empower communities. We believe in insuring the human rights of all people in the region, especially focusing on the rights of children." MECA runs a child sponsorship program in partnership with Ibdaa Cultural Center. The program that gives a direct assistance to children from Dheisheh refugee camp and nearby communities in the West Bank to help them continue their education. Middle East Council of Churches is a fellowship of Christian churches relating itself to the mainstream of the modern ecumenical movement, the same which gave birth to the World Council and other regional ecumenical councils throughout the world. Miftah is an institution committed to fostering democracy and effective dialogue based on the free and candid exchange of information and ideas. Established in January 1999, Miftah's underlying premise is the integration of several processes: Palestinian nation-building and empowerment on the basis of the principles of democracy, human rights, rule of law, and participatory governance; international reconciliation and cooperation; the gathering and dissemination of information and the active participation in the global dialogue as an equal partner. Especially interesting is their fact sheet about US aid to Israel and the dangerous folly of "making the desert bloom." Musalaha is a ministry of reconciliation between Messianic Jews and Palestinian Christians. The ministry was founded on the belief that "through faith in Jesus, the Messiah, there is hope for a lasting reconciliation of Jewish and Palestinian believers. The driving spiritual force of Musalaha is that we manifest Jesus' uncompromising command that we love each other (John 15:17)." Muslim Peace Fellowship is "a gathering of peace and justice-oriented Muslims of all backgrounds who are dedicated to making the beauty of Islam evident in the world." It was founded in 1994. An-Najah National University is located in Nablus and is the largest university in Palestine. Through An-Najah, the Zajel Youth Exchange Program is an exchange program that assembles youth from diverse backgrounds to interact with Palestinians and to learn about Palestinian society and political reality. The New Israel Fund (NIF) works to strengthen Israel's democracy and to promote freedom, justice and equality for all Israel's citizens. "Not only are these principles guaranteed in Israel's Declaration of Independence, they are central elements of the Jewish tradition...A philanthropic partnership of Israelis, North Americans and Europeans, NIF is today the leading funder of social change in Israel." Not In My Name was formed in November 2000 to work for a just and lasting peace between Israelis and Palestinians. It is a is a gathering of primarily American Jews, who criticize Israel and seek changes in Israeli policies precisely because "we are Jewish, because of those Jewish values we hold dearest." See their small info page about US aid to Israel. Olive Branch of Jerusalem is an online Christian magazine from a priest at the Latin Patriarchate of Jerusalem, providing news, articles, and documents from the Holy Land. 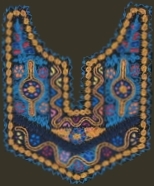 Pal Craftaid is a Presbyterian volunteer, nonprofit ministry, bringing traditional Palestinian crafts, especially embroidery and olive wood carving to the States. It is under Associated Ministries of Greater Pierce County, WA. Sales of crafts support artisans at fair trade levels as well as select Christian ministries in the Holy Land (children's counseling, emergency aid, lunch programs, clergy and lay leadership training, deaf children's programs, scholarship funds). Pal Craftaid brings traditional merchandise to the Presbyterian Church (USA)'s General Assembly, as well as at mission and advent fairs at congregations across the country. More information is available from Rev. Elizabeth Knott: 253-946-4810. The Palestine Monitor was set up by Palestinian NGO Network (PNGO) as a gateway to civil society, as part of the newly created information clearinghouse of the same name. The clearinghouse conveys unified responses about local developments from the perspective of civil society, particularly given the present crisis in the Palestinian territories. The website will also highlight the real effects the many changes and decisions have had on Palestinians’ lives over the past several years, and also provides tools for the public to take action on specific issues. Palestinian Centre for Human Rights is an independent Palestinian Human Rights Organization based in Gaza City. It is an affiliate of the International Commission of Jurists-Geneva and the International Federation for Human Rights (FIDH). The Palestinian Center for Rapprochement between People is an NGO in Beit Sahour, with a long history of pro-peace activism and non-violent resistance to the occupation. The Palestine Children's Welfare Fund seeks to improve the living standards of the children living in Palestinian refugee camps. They collect educational books to ship to camps in Palestine. They coordinate a child sponsorship program and also raise funds by selling Palestinian handicrafts (embroidery, olive wood sculptures, olive oil soap). The profits are sent to the Union of Health Workers Committees in Gaza. In so doing, they also help preserve Palestinian culture and lifestyle. Parents' Circle: Bereaved Families Supporting Peace, Reconciliation, and Tolerance consists of more than 500 Israeli and Palestinian families, all of whom have lost an immediate family member due to the on-going conflict. "The Families Forum aims to play a crucial role in spearheading a reconciliation process between Israelis and Palestinians. Such a process will allow both sides to come to terms with past suffering. The reconciliation process will provide a firm basis for the difficult measures a future agreement will include, by recognizing responsibility of both sides for the past." PENGON: The Palestinian Environmental NGOs Network is a coordinating body for more than twenty Palestinian environmental organizations located in the Occupied Palestinian Territories (West Bank and Gaza Strip). PENGON was founded two years ago, following the start of the second Intifada, due to the increased demands and responsibilities of Palestinian environmental organizations to defend the Palestinian environment. Currently, they are working to raise awareness about and political pressure against the ongoing wall, dubbed by them the "Apartheid Wall." Their site has excellent information and maps on the subject as well as an online petition. The Palestinian Society for the Protection of Human Rights and the Environment (LAW) was founded in 1990 to promote human rights and the principles of the rule of law and to defend Palestinian rights in accordance with international human rights law and United Nations declarations. The LAW website offers up-to-the-minute news and reports about human rights and environmental conditions in the Occupied Territories. Unfortunately, their very excellent website (http://www.lawsociety.org) seems to be blocked currently. Peace Now was founded in 1978 by 348 reserve officers and soldiers of the Israel Defense Forces. The first mass peace movement in Israel, Peace Now rapidly became the single most important extra-parliamentary force for peace in the country, attracting hundreds of thousands to its mass rallies and activities. The first and primary goal of Peace Now has been to press the Israeli government to seek peace - through negotiations and mutual compromise - with its Arab neighbors and the Palestinian people. Presbyterian Church (USA), our denomination, maintains pages dedicated to the current crisis in the Middle East. Public Committee Against Torture in Israel: In September 1999, in response to PCATI's petition, nine justices of the High Court ruled to absolutely prohibit the use of torture during interrogation. PCATI, an independent human rights organization founded in 1990, monitors the implementation of this ruling in detention centers and continues the struggle against the use of torture in interrogation in Israel and the Palestinian Authority through legal means, support of relevant legislation, and through an information campaign aimed at raising public awareness of the subject. Rabbis For Human Rights is the rabbinic voice of conscience in Israel founded in 1988 in response to serious abuses of human rights by the Israeli military authorities in the suppression of the Intifada. RHR "encourages respect for human rights and social justice. We combine the heritage of the Jewish tradition and the pluralistic approach to its study and interpretation and apply them to direct action projects in order to bring about a tikkun olam (fixing of the world) in our day and age." Rachel Corrie Memorial site remembers the life and passion of this American peace activist, a young woman crushed under a bulldozer on March 16, 2003, as she protested home demolitions in the Gaza Strip. "The most obvious way to honor Rachel is to continue working on issues that mattered to her. Peace and justice for the Palestinian people is probably at the top of that list. We should also pursue a thorough investigation (currently as House Concurrent Resolution 111) of Rachel's death and demand accountability by the Israeli army. Finally, we can donate money to organizations dealing with issues that mattered to Rachel." The Rebuilding Alliance is "a human rights action group supported by grassroots fundraising. Our mission is to safeguard fair housing rights in regions of conflict, starting with Israel and Palestine. By mobilizing thousands of Americans to help rebuild demolished homes and schools, working through Congress, and petitioning Israeli courts, TRA helps Palestinian families keep their homes." Refusers Solidarity Network (RSN) was formed in April 2002 to provide support for the growing refuser movement in Israel. Their "adoption groups" are clusters of people around the world who work together to support specific refusers when they go into prison. Sabeel Ecumenical Theological Center is an ecumenical center for Palestinian Liberation Theology which seeks to make the Gospel contextually relevant. In Arabic, Sabeel means "The Way" and also a "Spring of Water." Sabeel strives to develop a spirituality based on justice, peace, non-violence, liberation, and reconciliation for the different national and faith communities. Sabeel also works through education, publication, and visits, to promote more accurate international awareness regarding the identity, presence, and witness of Palestinian Christians. SEARCH is a national non-profit human rights and educational organization, founded in 1972, which seeks a just Israeli-Palestinian peace based on the inalienable rights of both peoples. SEARCH's focus is on improving media coverage of the situation. The Shministim (Hebrew for "high-school") youth refusal movement was founded by a group of young political activists who "refuse to serve the occupation and war crimes committed by the Israeli Occupation Forces in the territories." Sikkuy ("chance" or "opportunity" in Hebrew) is the Association for the Advancement of Civic Equality in Israel. Founded in 1991, it is a non-partisan, non-profit, NGO that advances equal rights and civic equality between Palestinian Arab and Jewish citizens of Israel in government budgets, resource allocation, hiring policy, land usage, and other related fields. The Stop Caterpillar campaign coordinates efforts of Jewish Voices for Peace, SUSTAIN, US Campaign to end Israeli Occupation, Progressive Portal, and others to pressure Caterpillar to stop selling its bulldozers to Israel which uses them to destroy Palestinian homes. "Since 1967 Israel has used Caterpillar bulldozers to demolish nearly 9,000 Palestinian homes, leaving more than 50,000 people homeless. Since the outbreak of the Palestinian uprising in September 2000, Israel has razed the homes of 12,737 Palestinians in the West Bank and Gaza Strip. Sunbula, housed at St. Andrew's Church of Scotland in Jerusalem, is a not-for profit organization working to promote self-help craft groups in the West Bank and Gaza Strip. They act as an outlet for Palestinian handicrafts produced through women's cooperatives, schools for the disabled, refugee camp development projects, and the like. From their online catalogue, you can view beautiful traditional embroidery (and other crafts), and easily order them to be shipped worldwide. SUSTAIN (Stop US Tax-funded Aid to Israel Now) is a grassroots organization committed to supporting and sustaining the Palestinian movement for justice, human rights and self-determination. "The United States government supports Israeli violations of Palestinian national and human rights militarily, economically, and ideologically. The most tangible form of this support is the massive tax-funded aid that goes to Israel. We are committed to building a campaign against US military and economic aid to Israel so that US tax-dollars do not support the abuse of human rights." Ta'ayush is a network of Israeli Jewish & Arab activists. Tikkun gets its name from the Hebrew word, tikkun, which means "to transform, heal and repair." Tikkun magazine began publication in 1986 as "the liberal alternative to the voices of Jewish conservatism and spiritual deadness in the Jewish world and as the spiritual alternative to the voices of materialism and selfishness in Western society." In the Tikkun community's commitment to social justice, it has been very outspoken about issues of peace in Israel/Palestine, and currently is pushing for the success of the Geneva Accord. Union of Palestinian Medical Relief Committees UPMRC is a grassroots, community-based Palestinian health organization. UPMRC was founded in 1979 by a group of Palestinian doctors and health professionals seeking to supplement the decayed and inadequate health infrastructure caused by years of Israeli military occupation. It is non-profit, voluntary, and one of the largest health NGOs in Palestine. UPMRC's national health programs emphasize prevention, education, community participation, and the empowerment of people. U.S. Campaign to End the Israeli Occupation is a diverse coalition working for freedom from occupation and equal rights for all by challenging US policy towards the Israeli-Palestinian conflict. The Campaign is based on human rights and international law, providing a non-sectarian framework for everyone who supports its Call to Action. Its strategy is to inform, educate, and mobilize the public so as to change the US role in the Israeli-Palestinian conflict. Washington Report on Middle East Affairs is a 100-page magazine published 10 times per year in Washington, DC, that focuses on news and analysis from and about the Middle East and U.S. policy in that region. It is published by the American Educational Trust (AET), a non-profit foundation incorporated in Washington, DC, by retired U.S. foreign service officers to provide the American public with balanced and accurate information concerning U.S. relations with Middle Eastern states. Wi'am Conflict Resolution Center is a grassroots organization, striving alongside other community forces in the Bethlehem area to build a democratic and just society. "The Center aims to improve the quality of relationships by addressing injustices rather than avenging them, dignifying persons on both sides of the conflict, promoting human rights, and advocating for peace among all people." World Vision is a Christian NGO which began working in the Holy Land in response to the needs within the Palestinian community in 1975. Under military occupation, infrastructure and development were sorely lacking. Believing that the most sustainable development is accomplished through investing in people, World Vision Jerusalem empowers others so that they may help themselves. In refugee camps and remote villages, World Vision has supported the establishment of kindergartens, clinics, and youth clubs, often combining income generating projects that help sustain services. Yesh Gvul was founded in response to the 1982 Israeli invasion of Lebanon. This Israeli peace group has shouldered the task of supporting soldiers who refuse assignments they deem illegal and immoral (and are then subject to imprisonment, harassment, and forfeiture of social benefits). Also of interest is a statement by Israeli soldiers refusing to serve in the Occupied Territories. Z Net Mideastwatch - Z is an independent political magazine of critical thinking on political, cultural, social, and economic life. Their Mideastwatch website features and archives articles by Noam Chomsky, Amira Hass, Tanya Reinhart, Uri Avneri, Edward Said, Robert Fisk, Hanan Ashrawi, and more.